I admit that I am a bit of a Facebook-aholic. I scroll and share while I drink my coffee in the morning in lieu of really paying attention to the news. I try to avoid political debates and bad news on the wall because there seems to be enough of that in the world. Instead, I try to share funny or uplifting quotes and videos, things that make me giggle, or make me feel good. I follow many writers and artists and often find inspirational links to articles that give me a boost of confidence or a kick in the pants, depending on what I need at that particular moment. 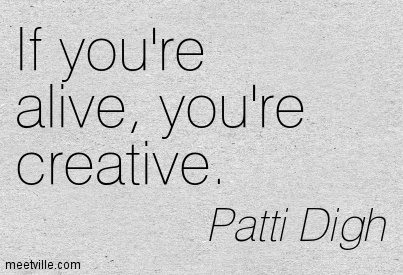 One of the authors and all-around-inspiring people I follow is Patti Digh. For those of you who are not familiar with her work, she has written a couple books that I feel should be required reading for anyone trying to find their way in the world today. The first book is Life is a Verb: 37 Days to Wake Up, Be Mindful, and Live. Ms. Digh recounts her stepfather’s cancer diagnosis and his life for the 37 days following it. That was all the time the universe allotted him. She found herself asking what she would do if she only had 37 days. In the pages of this book, she outlines the core principles that she would live by and urges us to do the same now, while we still have more than 37 days. Say Yes, Trust Yourself, Slow Down, Be Generous, Speak Up, and Love More. Sounds pretty simple, right? But these are things that very few of us can honestly say we do in our day-to-day lives. I know they are things that I try to strive for but I also know that I often fall short. In June, Ms. Digh shared a guest post that she wrote for Jenna Schwartz’s blog called “The Roar Sessions.” What an incredibly inspiring post! She talks about how as a youngster she was given mixed messages – you can do anything you want, but play small so you don’t outshine other people. For some reason, this hit me like a slap in the face. I was a smart kid and always got good grades. I loved to sing and be center stage. But at the same time, I didn’t really want to draw attention to myself. I don’t consciously remember anyone ever saying to play it small, but somewhere along the way, I learned that I should do just that. Don’t put yourself out there, don’t outshine. 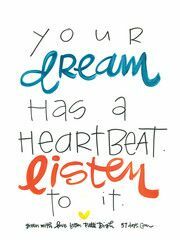 Reach for your dreams, but don’t truly own them. Even after mulling this over for weeks, I can’t pinpoint when this conflicting rule became so ingrained. In Ms. Digh’s essay, she tells how her psychiatrist pointed out that this playing small is insulting to everyone around us. I had never considered this but it is true. Playing small is insulting to those who praise us, but also to those who we may inspire and those who are trying to shine right along with us. It is saying to the world that when we shine, we shine so brightly that no one can handle it, no one can compete with it. So to raise others up, we will squash our own talents and abilities. How sad that we learn this! 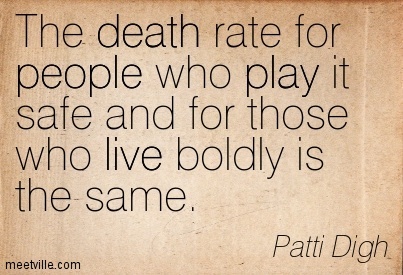 “I see that my own roar is a call to that deep roar within others.” Go Patti! That’s the lesson we need! Our gifts need to be let out into the air where they can inspire others and make the world more beautiful. Whether it is the gift of words, art, music, kindness, mathematical ability, love of science, love of animals, basket weaving, whatever makes our soul sing – that. That is what the world needs more of! We need to teach others, young and old, that they need to let their light out, let it shine out in the world. We need to encourage those around us to find their roar and let it rip! Your playing small will not serve the world. other people will not feel insecure around you. It is not in just some of you; it is in all of everyone.